One of my favourite books, incidentally. In the midst of yet another right wing politician attacking the liberal arts model of education, it’s worth reflecting on the question, why it glitters; and why we, in Merlin’s word, wag. North Carolina’s governor Pat McCrory said Tuesday, “If you want to take gender studies that’s fine. Go to a private school, and take it. But I don’t want to subsidize that if that’s not going to get someone a job.” The prevalence of such noxious opinions alone recommends the courage of anyone taking a cultural studies course, minor, or major; it is not enough, it seems, to confront all the quotidian challenges of college life, one must also deal with the slings and arrows of people who think your intellectual pursuits worthless. Yet beyond this it also misunderstands the raison d’etre for liberal education. It provides you with lenses of perspective that enhance whatever one sets her mind to: to have a grasp of gender studies is to understand the dynamics of your workplace and be more productive in it. A better co-worker, a better human resources manager, a better supervisor, union leader (uh oh), and so on. This happens because liberal education is about expanding your horizons beyond the realm of your individual capabilities and recognising what it means to live in a society—a place where you are not alone, where you share rights, responsibilities, and a fate, with countless others whom you’ve never met, and do not know. That is intimidating, but learning history, philosophy, social science, and the arts, gives you handles on that vast world, and it gives you a place to begin. Somewhere to situate yourself, in other words, and a way of engaging with your fellow citizens as citizens; when you speak the common language of music, have a grasp of structures of discrimination, know the history of another culture, know a foreign language, or connect on an intimate level with an intellectual sub-universe you’d never known had existed before, that cosmopolitan ethic allows you to be and do more in whatever job you happen to choose. Learning about mythology helps you make some of your own– and yes, you can get paid for that. In the world of video games, this is starkly evident. Ree Soesbee, with a Master’s in English, and a PhD in mythological studies, is one of the most talented people in game design. On top of everything else, she is a classically trained musician and speaks three languages. She’s also a brilliant writer and helped design the much lauded Sylvari race in Guild Wars 2, which many including myself have praised as a brilliantly original addition to the canon of high fantasy. Perhaps governor McCrory does not think this valuable work, but it is work, it does pay, and it has made countless people happy. Academic perspective, at its best, is a magnificently refractive prism that turns the light of learning into a rainbow that we can all admire. Great art, great writing, great research, add to the magnificent polychromatic tapestry that any culture might produce, and they give us the tools to both enjoy and understand our world. 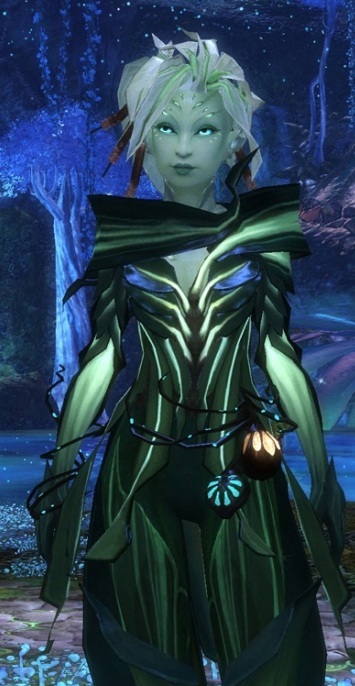 The Sylvari, for instance, are not only a fun addition to a video game, but in their uniquely written biology and culture, are also an interesting mirror in which to meditate about our received notions concerning gender and sexuality: something whose urgency in our very real world should be more than apparent. Democratic citizenship requires that sort of meditation because it insists we participate in the governance of our society. It is why we cannot simply be together alone, islands adrift aimlessly in a sea of mass democracy, but active and thoughtful people who know whereof they speak and know a bit about the wagging of this world. Liberal education provides the tools and context to make sense of this world’s variegated meanings, to know why the world is the way it is, what its history is, what its anthropology is, what our psychologies are, what the theologies of its constituent religions may be, what the sociology of your street corner is; those scraps of knowledge are lenses that give every citizen a spyglass that extends the boundaries of the world and makes them smarter voters and smarter people. There is a hunger for that knowledge, too. I’ve long refused to believe that these are the peas and carrots of our lifelong intellectual repast. Throughout my years learning and doing sociology I’ve met strangers on buses, trains, in airport bars, and parties who, upon hearing I’m a sociologist, immediately lean in conspiratorially and ask bashfully if I can explain why humans do x. Sometimes it’s simple: why do people lie? Other times it’s more complicated: why are the Israelis and Palestinians fighting? Sometimes it’s middling: why are people religious? But the point is, the questions bother them, and they want to know the answers. Time and again, in social science and gender studies classrooms I see students get swept up in the discussion as their taken-for-granted worlds are scattered to the four winds of intellectual inquiry. They are not always comfortable, but they do not shrink either. They’re interested, they want to know; they know there is more in heaven and earth than is dreamt of in McCrory’s non-philosophy and they want to hear all about it. The danger of McCrory’s vision, of the world he imagines, is that it is more plastic and static than a Lego town (which at least has the imaginative dreaming McCrory denies the importance of). Not only does he, as a matter of pure economics, get the order of operations wrong (technical training or no, the jobs simply aren’t there, and the cause has much more to do with the failings of capitalism than the number of students taking African American History or Kantian Philosophy), but he also seems to think that the social world we have, with its history, politics, and economics, simply fell out of the sky. His vision of America is equally static, and that myopia emerges in his lambasting of learning Swahili; he seems to forget, or simply not know, that we have large communities of Swahili speakers in the United States. For McCrory, it seems, we are the way we are because that’s the way we are, the end. It’s as frightening a view as saying that we should not try to understand the majesty of the night sky or the deeps of the ocean—that we should accept that they exist and move on to more important things (whatever those are). Yet our world, our social world, the universe we as humans created with our imaginations—for good and ill—has a history, has a sociology, has a psychology; it’s a story worth knowing, worth debating, and worth living with as a citizen. As a human being. We cannot let it lie because, if we’re going to talk about jobs, there is a ton of work to be done here. If McCrory wants to create jobs, perhaps he could find a way of paying the armies of students in his state who are working to end poverty, volunteering at domestic violence shelters, churches, family planning clinics, trade unions, or who are teaching and tutoring for free, or who are working to end homelessness, give dignity to jobless and wounded veterans, protect and enrich the lives of the LGBT community, getting people registered to vote and driving them to the polling stations, supporting the incarcerated; this is all labour of the hardest sort. I am surrounded by people who practically give of their flesh to labour at doing the right thing in this country—who organise communities into actively participating citizens who can police their own streets, help their kin, support their children, build their homes; it’s the hard work of using the law to help people, not hurt people; the hard work of creating a “citizenship” that is about democratic participation, not your immigration status. All of this is work, and every iota of it has benefited from engagement with this world’s great ideas, great literature, great art, and great science. An understanding of sociology not only benefits me at my day job, it follows me into my volunteer work. It helps me do both to the best of my ability. Understanding at least the first elements of how and why the world works as it does helps me to be a part of this democracy in a way that, I hope, benefits more people than just myself, and makes “We the People” a reality, not merely a slogan. Forgive me if it’s elitist to think we might all benefit from knowing why this world wags. I agree with you highly, but with a reserved note. I am a member of one of the “useless” majors, so I get a lot of flak from people who ask me “How are you going to find a job?? ?” But as I am at a University that not only has Gender studies but also engineering, science, business, law (pretty much everything), I have had the chance to see first-hand what the “job market” is like. While I was with the internship advisor for my major, my advisor told me not to expect to get paid for my internship, and don’t set your hopes very high. There is a good chance that you’re not going to be able to find a job. But when I switched over to the Computer Science internship advisor, she told me the statistics and I was shocked. 60% of computer science internships (at my school) don’t get filled, and they’ve had a record of 100% placement for the past 8 years. No matter your GPA, you’re getting a job. I had engineering roommates who told me that they were getting $20 an hour in college internships during their sophomore year with only 3 semesters of classes. Therefore, I would like to politely disagree with your comment that “technical training or no, the jobs simply aren’t there”. With two semesters of computer science classes, my advisor has guaranteed me that I’m getting a job (and I don’t think they’re going to let their record slip.) It may not be a perfect one, but the jobs are there, and yes, Americans as a whole are sufferring from unemployment. However, there’s a reason so many employers have to hire overseas to fill their programming positions. The problem with many students going into college is there is a negative stereotype that if you’re a scientist or engineer you have to be incredibly close-minded (gee, imagine that,) so you don’t get to be a free-thinker that wants to go out there and change the world and think about big philosophical questions. As a computer scientist, I DO want to find out all the answers to the questions about society you put out, and I want to make society better just as much as a volunteer at a homeless shelter does, I just go about it in a different way. I don’t like or support McCrory’s tone, but I just feel concerned that it’s opinions like this that increase the divide between science and humanities, and creates a world where humanities is where the “free-thinkers who don’t want jobs” go and the sciences is where the “people who want jobs and don’t have to think about cultures outside their own” go. I just want people to know that they CAN have the best of both worlds, and not to be afraid to dive into science experiments as vehimently as they dive into discussions of gender, race, and ethnicity. And if they are willing and can take the heat, then our society DEFINITELY has a place for them. Thank you for contributing to this discussion. I have a few clarifications to make, however, because I worry I’ve been misunderstood. I love the physical and natural sciences; indeed, it is an abiding love that inspires poetry and prose alike. I’ve often said that if Sociology had not called so strongly to me I’d have been an astronomer in a heartbeat. I do not have, nor do I promulgate (I hope! ), a dim view of non-social scientists. I certainly do not view them as closed minded or inherently less curious about the social world, or inherently more prejudiced. At no point in this article did I attempt to stereotype about or speculate on the supposed nature of scientists. Two of my dearest (and most radical feministy) friends are computer science geniuses, another friend is a biologist who geeks out most adorably about the caterpillars she studies. We richly inform each other’s perspectives, and they’ve taught me more than I can repay down the years– my compy sci friends in particular. So, if you feel that I am attempting to invidiously drive a wedge between the social sciences and humanities on the one hand, and STEM on the other, I would have to politely suggest that you’re very much mistaken, though I am sorry if I gave that impression and will gladly listen to any suggestions about how my language could be improved. I completely agree with all of your sentiments in the final sentences of your comment. My point, however, was not that computer sci people are narrow minded, greedy closet bigots who “don’t get it”, but rather that intellectual homes for social inquiry matter, having classes in these subjects matters, and suggesting that we judge a discipline purely by its purported financial worth in an ever-transient economy is dangerous and runs the risk of severely inhibiting our modes of inquiry. All of the disciplines are like the senses of humanity; we dull our social endeavours by saying we don’t need cultural studies, social science, philosophy, and so on. That was really my point. I wasn’t trying to insult people like yourself or other STEM majors/scholars/researchers; I was trying to burnish the shine of the oft undervalued humanities and social sciences. I also take your point about the internship situation at your school. That said, I think I created a bit of confusion by a poor choice of words on *my* part. Where I said ‘technical education’ I should’ve said ‘vocational.’ Subtle, but key, since many right wingers have often said that liberal arts is faffy and elitist, while learning a trade is a guaranteed pathway to a job because it’s useful; while I agree that vocational schools are a good idea, I disagree with the idea that they alone will create jobs since many of the blue-collar jobs that such schools would pipe students into are disappearing or being cut back. I hope this clarifies what I wrote. Hmmm, yeah, I think I was reading a little bit too far into your words. No hard feelings left on either side? I think a little bit of the problem stems from the fact that people always want to believe that THEIR choice is the best, so have a tendency to badmouth other choices so as to lesson their value and continue to believe they have the right path. At least, that’s how I’ve experienced it at my college. Social Sciencers and Engineers think Businessers don’t actually do any work. Engineers and Businessers think Social Sciencers live with their heads in the clouds. And Social Sciencers and Businessers think Engineers are all social misfits. As someone who has a major in Social Science, and minors in Business and Engineering-like things, I try to find some way to relate with everyone I meet. I only wish more people would take the chance to do so, then maybe we’d all stop badmouthing each other’s choices behind our friends’ backs. PS: Yeah, I’ve been reading your blog for a while, and I really like it! It gives me a fresh perspective. Keep it up! Social Sciencers and Engineers think Businessers don’t actually do any work. Really? As an engineer with a social science hobby, my impression of business majors is that they do four years of what amounts to applied social science and somehow more often than not come out conservative, which has some implications for how much analytical depth their program has. Hey Leo, sorry I took so long to reply. Been busy! No hard feelings at all, no. 🙂 Hah, yes, that particular xkcd comic always amused me. I agree with you that we need to find a way to come together academically, no question. I think it starts from recognising that our world is impossibly complicated and there are many, many angles from which to look at it academically– they are not equally valid for the same things (physical science can’t explain the social world or its vicissitudes and sociology can’t explain the motion of the planets or the strong force that binds an atom’s nucleus) but they are all good at what they’re meant to do specifically. 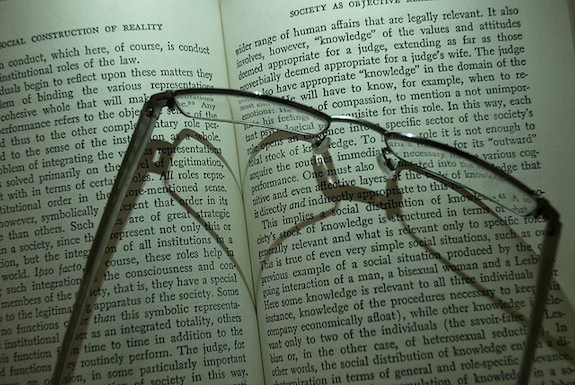 None constitutes, by themselves, *the* superior way of looking at the world.